My father, who adopted England as his homeland in 1933, was veddy, veddy British when he arrived in America in 1948; as a small child in the early 1950s in New Jersey, I used to correct his accent to "standard American." He's long gone, but I can almost hear him tapping the dottle out of his pipe, catch the scent of vanilla-blended tobacco, hear him exclaim, "Damn and blast! 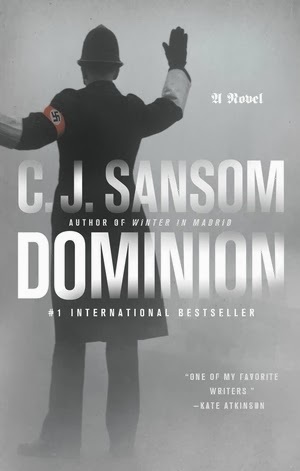 Five more books you need to purchase, after reading C. J. Sansom's latest? How do you expect to make a living, my girl?!" Good thing I'm not reviewing for a living. Because it's true: Sansom's alternate history, turned suspense thriller with plenty of espionage and investigation, makes me determined to pick up all his earlier work. .. the King had sat expressionless, only raising a hand occasionally, his body angled away from Hitler's. Afterwards David's father has said "enough," that was it he was off to live with his brother in New Zealand, and David would come too if he knew what was good for him, never mind his Civil Service job. Thank God, he added feelingly, David's mother hadn't lived to see this. Sarah was looking over at the Queen. "Poor woman," she said. David glanced over. He said very quietly, "She shouldn't have let them make her their puppet." To David Fitzgerald, the occupation by Nazi Germany is intolerable. What can he do? Almost without meaning to, he joins the Resistance -- protecting his wife Sarah from that knowledge. Soon he's engaged in trying to rescue his old college friend Frank Muncaster, who (in a very fragile mind, in a mental hospital) may have the secret that the Resistance forces need to change the balance of power. But David has a secret of his own, one that's almost intolerable in the anti-Semitic world that the Germans have enforced. And it destabilizes him into an almost-affair, as he lurches into espionage and action. He knew he was not a physical coward, his service in Norway had shown him that, and it had needed courage to spy at the Office. Yes in a curious way, although what he did there was treasonable, he had still somehow felt enfolded, protected, by the Civil Service. What he was about to do now was utterly different and he felt exposed. He looked at his watch. Time to go. I resist the notion of alternative history -- and yet Orwell's 1984 is often on my mind, when the news is on TV, and when we all use the social media. I think DOMINION will stay with me in much the same way. Looking at it again for this review, my stomach clenched in the same tension as at the first reading. Well-written suspense, in a believable framework -- with a huge amount at risk, and characters who don't understand why it's their task to carry, but ... who go forward because they are trying to do the right thing, even though all the choices are wrong. That's noir. There is really no replacement for "The Sopranos" -- that addictive Mafia-style crime family show that held us captive for years -- unless it's watching entire seasons in re-run, or maybe retreating to a "Godfather" weekend with popcorn. But there are ways forward, and reading the Roma Series from Gabriel Valjan is a good way to start. 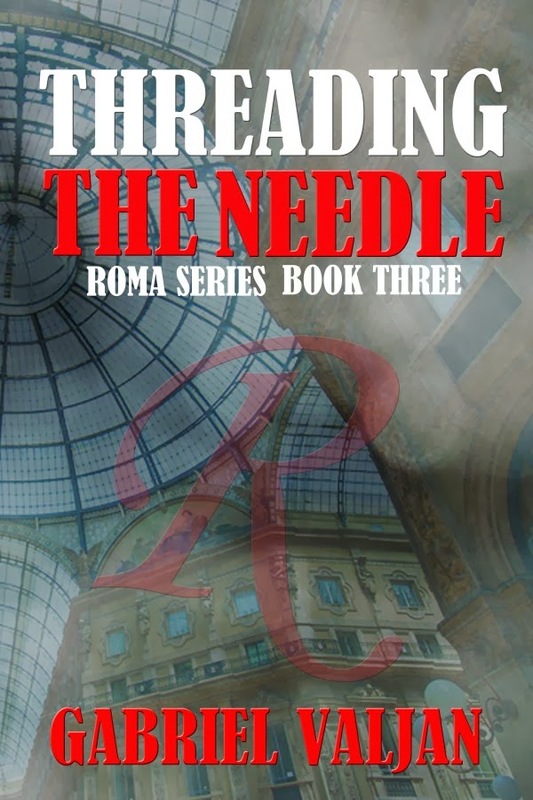 THREADING THE NEEDLE is the third in this series, and Valjan isn't playing to conventions about Italian crime at all; instead, he gathers up recent European conflicts and spins fast-moving plot from them. This time he starts with Bianca Nerini, member of a team of very, very bright high-tech analysts tracking down international criminals. But Bianca is supposed to be resting and lying low, after her investigations in Wasp's Nest (and before that, in Roma) that connected her with online info that comes through sources only known to her by their avatars -- their role-playing faces and voices, sometimes as scary as their real personas. And she doesn't want to "go there" again. But when young Charlie Brooks asks her for a crash meeting, kisses her abruptly, and takes off right away with professional (and successful) killers on his tail, Bianca feels at least a responsibility to make sure the messages he has managed to pass on to her reach their intended recipients ... even if she's not sure what they mean. Even this low-level involvement is enough to start getting her friends into danger, though. U.S. Defense contracting, NATO and other international maneuvering with roots in the "peace" after Mussolini, corruption and competition among various Italian police forces -- it's all here, packed ith action and tension. Dismissive as it might sound, Charlie Brooks was just a kid, no matter how intelligent, how precocious he was in his studies or with his hacking skills. Twenty-three years old was nothing. She thought back to when she was twenty-three, when she had thought she knew all the answers to life, or thought she had a better idea than everyone else. The difference was that she had made it to twenty-four. This kid was dead and would be forever twenty-three. Valjan's characters, from Bianca to investigator Isidore Farrugia to the irascible Gennaro, are memorable and worth following, in this book and the others in the series; the international terrorism and tech investigating ring true, and the European tensions -- which I double-checked for reference -- are intriguing and of ongoing concern. Although Valjan now lives in Malden, Mass., just outside Boston, he's traveled widely and brings the flavors of Italy with him. It's sometimes hard to accept that a very basic printing job -- the page formats and jacket aren't up to what the major publishers can afford -- still encloses an espionage and detection novel worth reading. But after the first few pages, I knew I was committed to the end of the book ... and would be reading the two earlier books, and watching for upcoming titles (Valjan stays two titles ahead). Characters, plot, ideas, background: In THREADING THE NEEDLE, Valjan weaves it all into an international crime novel worth the read. Agatha Award Nominees, 2014: Congratulations, and Let's Read Them! The big annual award sequence for "traditional mysteries" (sort of PG-13) is the Agatha Awards, given at the Malice Domestic conference in May. This year's official top choices among the nominees were just announced. Here they are ... and if, like me, there are titles here you haven't yet read, what a great reading challenge this list can be! For more on the awards, the conference, and many authors, try the Malice Domestic website, here. The best part about mysteries today is, no matter how many authors you're familiar with, no matter how many books you've collected, there's always a chance of finding one that's new to you -- and enjoying it. That's how I feel about reading LAKE OF TEARS, the ninth in the Claire Watkins series set in Pepin County, Wisconsin, not far from Minnesota's Twin Cities. And I'm really sorry that I didn't meet Mary Logue's books and protagonist sooner! Claire Watkins is a Deputy Sheriff in small-town Fort St. Antoine, but in the second chapter of LAKE OF TEARS she's launched abruptly into the slot of acting Sheriff, as her boss needs quadruple bypass surgery. Coming out of a quiet summer, she's alert and well rested -- a good thing, with the bones of a small young woman discovered in the ashes of an artsy sort of boat burning that's just taken place for a festival atmosphere on the town's lakeshore. At the same time, Claire's and her husband Rich's daughter Meg, age 18 and lingering in town for an extra semester to earn more money before heading off to college, begins an unexpectedly passionate dating relationship. And it turns out that the man who's caught her attention is actually one of Claire's deputies, a returned veteran of the Afghanistan action, still young in years but weighted with the grief of battle and the death of a friend. It's challenging enough to have your daughter seeing someone so much "older" in experience (Meg looks older than her age; when Andrew finds out, he does indeed pull back some). But for Claire the really tough part is components of her investigation that make her wonder whether Andrew is involved in the death, or somehow knows related information. The writing is smooth, the plot intriguing, the twists nicely balanced in terms of surprise and "fitting the evidence" -- all proof that this author of 12 mysteries knows her field and tells a good story. I wasn't always happy with the jumps in point of view -- but still there's power here, as well as wise connections to the trials of returning home from armed conflict. I thought of Julia Spencer-Fleming as I read, even though the parallel emotional story as Claire investigates the crime is less dark than Spencer-Fleming's series: family issues around a normal teen growing up, rather than a sense of moral and spiritual crisis. A bundle of bones, that's all that was left of someone who was probably alive a couple days ago. Claire had the urge to touch the delicate finger bones of the hand, but resisted. Do not disturb them. It's not necessarily sensible, but Claire resists the pressure to assume Andrew, the veteran and her new deputy, committed murder in this town. "Yes, she saw some hidden rage in him, but more than anything she saw a well of sadness." Good thing Claire can stand back and notice that, because she'll need Andrew on her side to solve the case. If, like me, you're new to Mary Logue's books, pick this one up (published by Tyrus, which is widening its dark noir focus to include some really well-written traditional investigative mysteries like this one). And if you're already collecting these, hurrah for adding number nine in this series, and for your good fortune in knowing about this regional author before she works her way into a national reputation for strong crime fiction. Author website (a bit out of date) here; and check out Tyrus Books here. This is the sixth Irene Huss detective novel that Soho Crime has brought out, in translation from the Swedish; we are catching up with books that have been bestsellers in Europe, and Tursten's books were TV hits, complete with competitions. 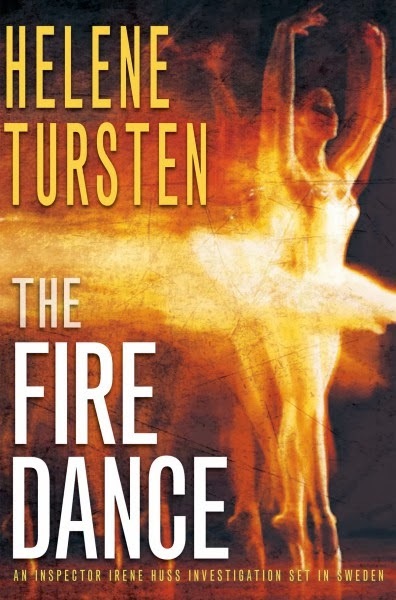 THE FIRE DANCE just came out in the US, and it's well worth adding to the shelf. "Part One" threw me -- I realized quickly that the detective Huss investigating was much younger, and newer to the job, than the one I'd been enjoying in recent Tursten books. Because Huss is such an interesting woman, with her blend of family issues, workplace battles, and intense investigations, I was disappointed. But that didn't last long. It turns out "Part One" is a flashback to those years, and the rest of the book resumes the life slot I was enjoying so much (nice to see someone else struggling with similar issues), including Irene Huss's well-earned creds in her division, and the conflict she faces as her daughters turn toward the arts and even counterculture, when she's pretty much a straight arrow herself. The case that arrives in Huss's load "now" is the death -- by fire, while still alive -- of a young woman whom Huss had met 15 years earlier, when little Sophie might have shared evidence about her stepfather's death in the family's home, by fire. But Sophie instead declined to talk. Was she the fire-starter? What psychological damage could she carry that led her to light the killing fire? Or, if she hadn't started it, what had she seen, that effectively silenced her? What damage did she carry forward into her life as a dancer and then choreographer? Why was she killed at this moment? When Huss realizes the strange child has become the adult victim of arson, it's impossible to separate the two deaths. Sophie's family doesn't make things any easier: a younger half-brother who seems nice enough, a totally unpleasant mother with unfortunate habits, and a lot of deaths of other relatives. And money? When in doubt, follow the money -- yet Detective Inspector Irene Huss isn't seeing much of a money trail, unless you count the next lover that Sophie's mother has reeled in. There's much less in THE FIRE DANCE of the intriguing gender battles in Huss's division; she seems to have crested over them for the most part. Her boss is still impatient and interrupts her work for "more important" cases at the drop of a hat -- which is probably a pretty realistic view of urban police detection, where multitasking and shifting priorities take over. But Huss is in control of her work life for the most part -- her home life is less steady, especially when Huss's own daughter Katrina edges into the circle of friends around Sophie's half-brother. Yet Tursten neatly presses home life against work in ways that open Huss's thinking and send her into risky yet productive forays that reveal more about this stressed and fracturing family in her case. The Irene Huss series is a good counterweight to the gray-snow grimness of many of the Scandinavian noir titles appearing in translation. It's a sturdy and well-plotted police investigation with human warmth, one that makes Göteborg, Sweden, into an appealing location that could be worth a visit. You can see why Swedes in particular have embraced the books. I did note, though, that the darkest part of Huss's past -- which has come up in earlier titles -- looks as though it's coming back to the surface, as the Hell's Angel criminal that Huss tangled with has completed his prison sentence and is somewhere on the scene. So I'm sure there's another Irene Huss book ahead, and ... oh, those lucky Swedes, they are probably already reading it! A quick note on the translation: Laura A. Wideburg has done a nice job, but the language is ever-so-slightly off in terms of speech rhythms; I have a feeling the original probably "sang" a bit more. Nonetheless, even though I was more aware of reading a translation than I have been with some others lately, it didn't stop me or slow me down; this met the category of "must finish this book before the weekend is over" and I recommend it, as a Swedish parallel to investigations written by, say, Archer Mayor or William Kent Krueger. Have you read some of this series? If so, do you have a favorite? Here is the Soho Crime page for Tursten; and other Kingdom Books reviews of Tursten's books, here. I missed the first Andy Gammon mystery from Tempa Pagel -- so I'm going to have to find a copy of Here's the Church, Here's the Steeple, for the fun of seeing how this deft plotter weaves together New England history with current mystery in her first round. 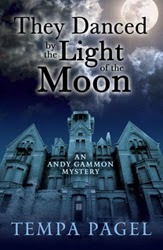 But I'm delighted that the second Andy Gammon, THEY DANCED BY THE LIGHT OF THE MOON, came my way! It's due to release in mid February from Five Star, a publisher rising rapidly in the mysteries field, and if either the New Hampshire setting or 1901 revelations mean this book needs to be in your collection, you may want to pre-order a copy ... Five Star print runs are usually modest and the first printings often sell out. I bet this will be one of those. Andy Gammon is young woman with two lively children and a tolerant husband. She also has a mom who aids and abets her in getting involved in murder investigations. Good thing -- because the death at the newly renovated Grand Hotel of the Atlantic (a lightly disguised version of the Wentworth-by-the-Sea Hotel in Newcastle, NH) isn't even in Andy's home town. So how can she expect law enforcement to let her into the official process of finding the killer of the odd young woman she met during the hotel's opening meal and tour? She can't. She's got to do it all the way so many amateur sleuths have pursued criminals all along: by interviewing witnesses (uh-oh) and possible future vistims (! ), and sniffing around where she's not supposed to be. In Andy's case, that includes the very spooky grounds of an abandoned mental hospital, a grand and fortified but definitely crumbling architectural gem in Danvers, Massachusetts (sister city to neighboring Salem, Mass., although that doesn't come up in this book). Does she dare to trespass, against all warnings -- and to do it with a group of ghost hunters and a woman once in long-term treatment in the mental hospital? If she does, will her husband forgive her? And will she be safe?? 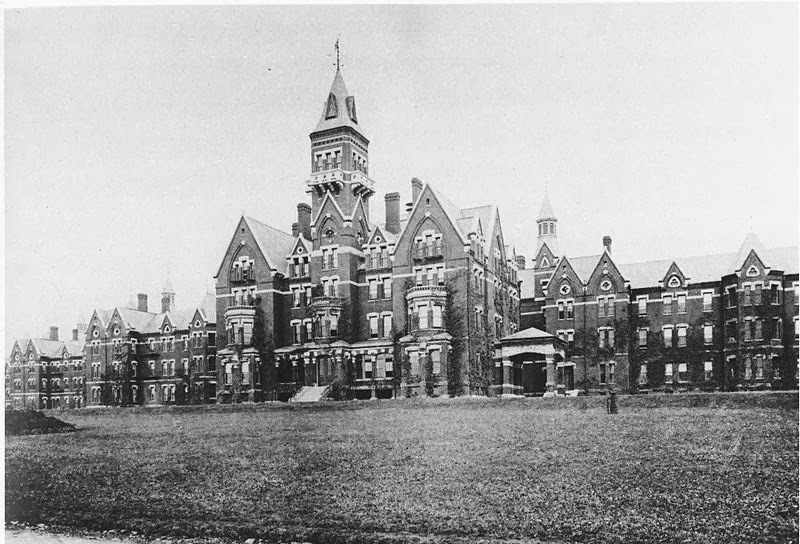 The actual Danvers State Hospital. This is a classic "traditional" mystery with a dash of the presence of Andy's predecessor in adventure, Marguerite Miller -- who disappeared from the hotel in 1901 and left behind a significant journal that we readers get to peek into, long before Andy finds a copy. But she's on the trail of any crime that may have involved Marguerite, as well as the young woman who claimed -- before her death at the hotel -- to be related to Marguerite Miller. (My one quibble with the book was an occasional slip on exactly how the two were supposedly related ... which may have been ironed out in the published version ... I read the advance "uncorrected proof.") Readers who appreciate a well-plotted "cozy" or traditional mystery will also enjoy Andy's mom and husband, and they way they complicate and sometimes assist her detection. Author Tempa Pagel lives in the Massachusetts seaside town of Newburyport, with a family parallel to Andy Gammon's. I'm looking forward to reading more of her books! And ... great news ... she'll be HERE on the Kingdom Books blog as we get closer to her book's release date. Don't forget to order your copy! And check her website for events, to meet her and get a signed copy in person: http://www.tempapagel.com. Enjoyable Canadian Traditional Mysteries: Vicki Delany Keeps Writing More! In April, Vicki Delany's new "Rapid Reads" novella Juba Good will take one of her RCMP (Royal Canadian Mounted Police -- a.k.a. Mounties) investigators to the Sudan. And that will make an enormous change from her usual northern Canada series! But she'll also be releasing Under Cold Stone in April, as the next book featuring Constable Molly Smith in British Columbia. Her recent title More Than Sorrow was an outlier, a Gothic novel (still involving crime, though) set in Ontario. And she scooped up an 2013 Arthur Ellis Award nomination for her "Rapid Reads" novella A Winter Kill. 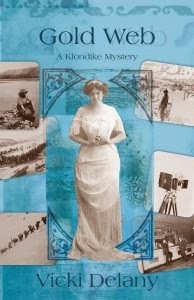 So amidst the swirl of change (and broadening) for this author, her December 2013 title, GOLD WEB, delighted me with its classic "amateur sleuth" plot and reliably interesting protagonist -- the indominatable Fiona MacGillivray, half owner of the best dance hall and tavern in the gold-rush frontier town of Dawson City, Yukon, in 1898. This is the third in the Fiona MacGillivray series -- the others are Gold Mountan and Gold Digger -- and "Fee" is well established as a tough, independent businesswoman who's more interested in turning a steady profit and keeping her growing son Angus on the right track, than she is in trying to get her budding romance defined with Corporal Richard Sterling of the Mounties. When a dying man collapses at her feet in an alley behind the dance hall, Fee is startled to hear the man's last words: her name, MacGillivray, followed by the name of the most famous Scottish battle, gasping, "Culloden." It doesn't make any sense. And with no evident threat toward herself or her business from the murder, Fee leaves the investigation in the hands of Corporal Sterling (and incidentally her son Angus, who's determined to get into law enforcement himself -- heaven forbid). She has a dancer in rebellion, another dancer putting her business in jeopardy, some gambling clients getting out of line, and each time the investigation takes a fresh turn, Fee's own secrets come a little closer to being revealed. Thanks, Vicki Delany -- and I'm looking forward to the April reads, too. Caught up in crime fiction that depends on the Internet? Already a fan of Lisa Brackmann's China-based thrillers and illicit gamer underworld? Have a special place on your shelf for William Gibson's Neuromancer, the speculative fiction that launched cyberworlds and serious online gaming? 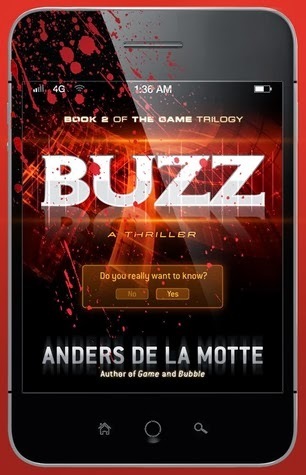 Here's your next tasty work of crime fiction: BUZZ, from Swedish author and politician Anders de la Motte. This is another case where American readers are getting the good stuff later than the Europeans, who've already made the crime trilogy of Game, Buzz, and Bubble into a best-selling series. Thank goodness, the translators are helping us to catch up. HP -- Henrik Pettersson, living under multiple aliases -- should have known better. Hiding from the Gamemaster (with good reason), he's been spending his ill-gotten gains in various locations around the world. But when he accepts an invitation to an Arab compound of sin and sexuality, not only does he indulge heavily in both, but he gets so stoned that he puts his fragile constructions completely at risk. Soon he's in the hands of the police, accused -- with convincing evidence -- of having murdered the woman who seduced him there. In flashes of insight, bits of e-mails, and alternating chapters that reveal the setup that HP's sister Rebecca has fallen into, the tense and powerful net that's trapping HP becomes clear. His return to Europe, under yet another alias, can't be good news, can it? After all, the Game is likely to catch up with him there, and the consequences could be fatal -- at least. If you're able to fit in a reading of Game before you tackle Buzz, so much the better. But de la Motte does a delicate tease of reveals, making clear the most important parts of what happened in the earlier volume, and it works well to jump straight into this new one. Tautly plotted, cunningly arranged, and smoothly translated by Neil Smith (whose only flaw is a slightly ragged edge between Americanizing the text and leaving it with a British tang), this is a postmodern thriller with sturdily familiar narrative and an enduring attachment to the badness of bad-boy betrayal. A hearty thank-you to Atria for bringing the book to American readers. From Nigerian Okey Ndibe, who teaches African literature at Trinity College in Hartford, Connecticut -- and whose political commentaries have a long track record (http://www.okeyndibe.com/index.html) -- comes a crime novel that crosses Donald Westlake with Saul Bellow and Joseph Conrad. Published through Soho Press (not the Crime division), it challenges genre boundaries and indulges in a delicious chunk of paranormal ... or is it all in the mind of Ikechukwu Uzondu after all? This upscale cab driver with the nickname of Ike -- not pronounced like Eisenhower's nickname, but rather as "Ee-kay" -- was named "God's strength" in his Nigerian family. Yet it seems his life's barren of grace. With a degree from a prestigious American college and a marvelous resumé, Ike can't get the bank or corporate jobs he longs for ... due to his charming but "difficult" accent, a residue of the Old Country. Nor has he fulfilled his mother's expectations for him; he has even stopped sending money to her, and never even told her about his American marriage, which has already failed. 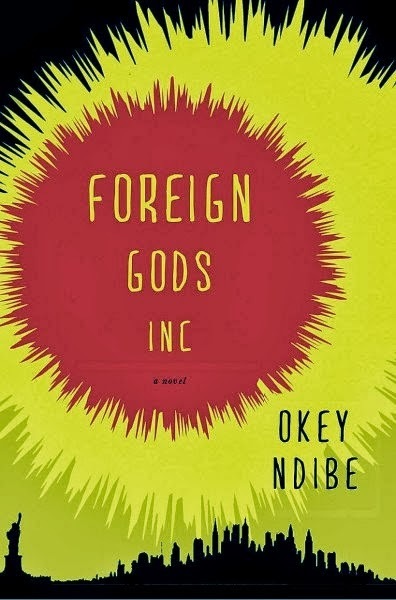 But Ike has plans: He's found a very, very upscale New York City gallery that sells "foreign gods" and he's going to go home to Nigeria and kidnap the one that his family tends, a wooden item that's been endowed with the spirit of the god of war: Ngene. And by selling this to the gallery, he will finally be rich and well regarded. FOREIGN GODS INC follows the Donald Westlake path because it's a caper novel and involves (oh, lovely!) taxi cabs ... Saul Bellow in Henderson the Rain King comes to mind as Ike tangles with forces of nature he's forgotten about ... and the malevolence of Heart of Darkness underlies the inevitable disaster ahead, one that the reader knows is coming, long before Ike realizes what he's done to his own dreams and life. Let this be the first on your Nigerian mysteries shelf -- or shelve it next to that master of well-meant criminal disaster, Donald Westlake himself. It's a worthy companion! 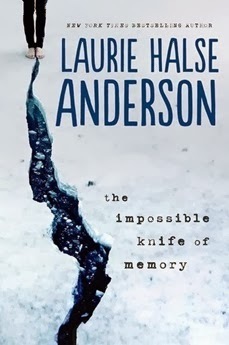 This is a big weekend for hearing Laurie Halse Anderson and her new book, THE IMPOSSIBLE KNIFE OF MEMORY; she'll be on National Public Radio today, and tomorrow the New York Times Book Review has comments on it from Jo Knowles, a perceptive Vermont-based author in the same field. Way to go! Commentators unfamiliar with the leap of "young adult" (YA) fiction into our culture's mainstream may focus on the age of the protagonist, Hayley Kincain, a senior in high school. But readers are onto Anderson for the sustained tension of her plots, the complexity of her characters, and the forms of courage they demonstrate. Quick summary: Hayley's dad, an Iraq/Afghanistan vet, complicates her life to such an extent that she has almost no memories of her life before this year's move "home" to the house her deceased grandmother owned. Is it even possible to have real friends, if your dad is your 24/7 care assignment and often violent? Before you brush this aside as a "teen" situation, try inverting the ages -- suppose the protagonist were the adult, trying to cope with a terrorism-damaged teen who is a threat to those around him? Yeah, this could happen to any of us, couldn't it? Neither of these is a conventional mystery, yet each has that recognizable thriller pattern of high tension, risk, and investigation. For a venture across the genre lines into the titles that teens and adults are now sharing, I can recommend both. 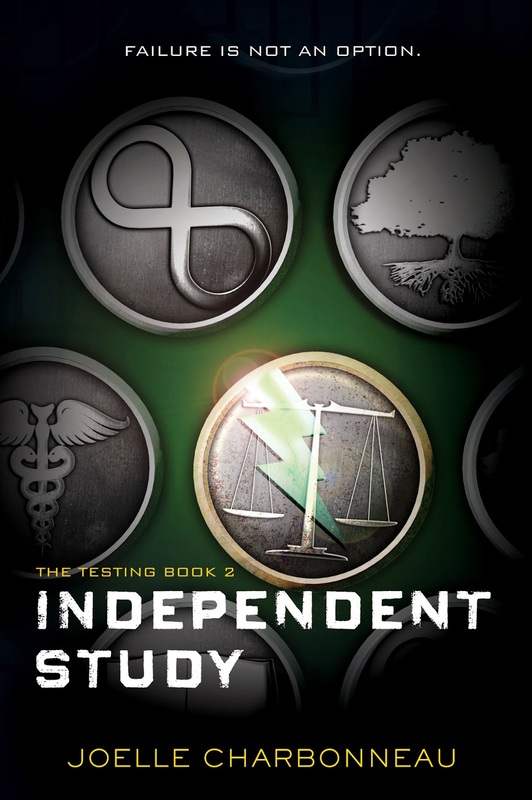 No need to read other Anderson books before the newest -- hers run independently -- but for the Charbonneau, the suspense will resonate more from a reading of The Testing before this new volume. 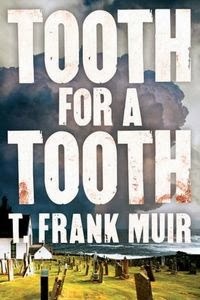 Glasgow, bitter weather, old grudges: T. Frank Muir takes the sour tang of a newly discovered corpse -- found in a shallow grave where it's intended to send a sharp message -- and weaves with one of life's worst nightmares: that a family member, now dead, could have been a killer. For DCI Andy Gilchrist, the criminal evidence being unearthed couldn't possibly point to his brother; he knew his brother well enough, even back in the early years of their adulthood, that he can be sure there's no murder involving his family. "Tell me about your brother, Jack," she said without missing a beat. Something shifted in Gilchrist's chest. "That's out of bounds," he grunted. But Jack's death, an unsolved hit-and-run, haunts Gilchrist. And soon it's clear he won't have any standing in his own department unless he can figure out what happened "back then" and who was responsible ... and who is messing with the evidence even now. Still, there's grace and goodness in Muir's TOOTH FOR A TOOTH. It's a fiercely good read. Best news: I'm guessing we'll get the next in the series, by December of this year.